Do you want peanut butter but none of the guilt? Then this is your product! 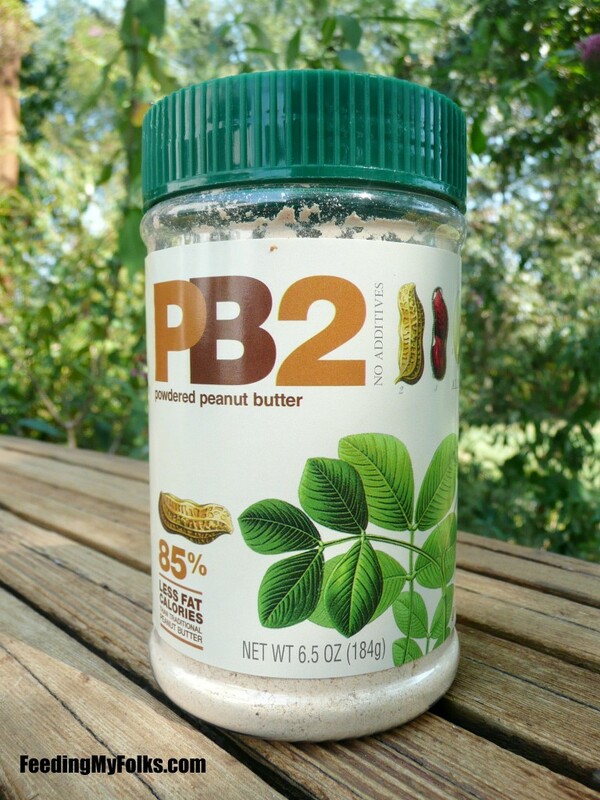 PB2 is peanut butter for the 21st century! 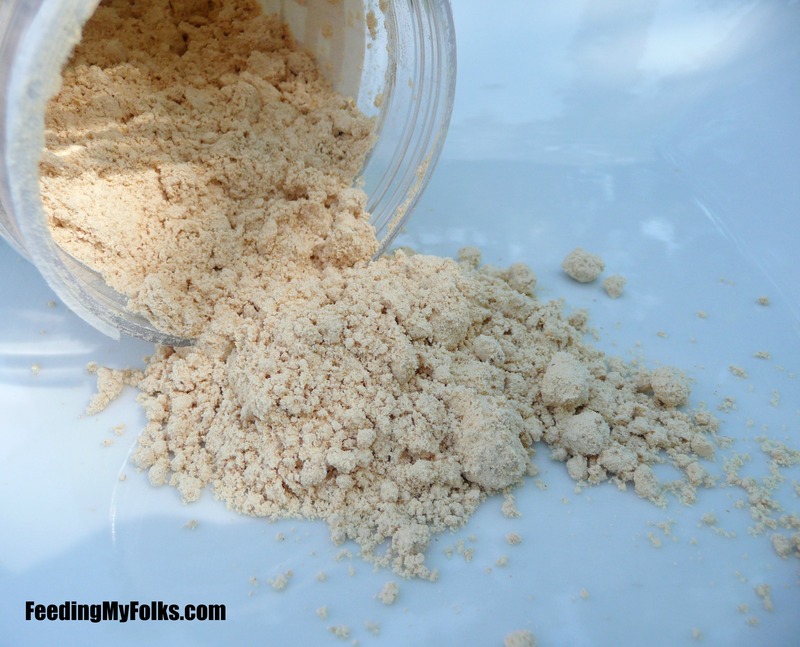 All you have to do is add water, stir, and bing bam boom – enjoy this delicious peanut butter on sandwiches, veggies, or whatever else you can think of! PB2, coming to a store near you! Okay, now that being cheesy is out of my system…. When my dad first brought this home, I was incredibly skeptical. I mean…it sounds like some gross NASA dehydrated food product. But with only 45 calories for 2 tablespoons, I figured I owed it to my waistline to try it out. So I broke out the measuring spoons, a bowl, and starting mixing. 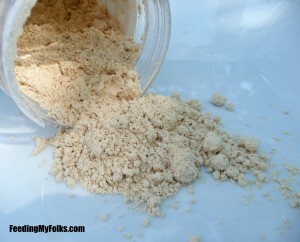 After a few seconds, it starts to look and smell like peanut butter! Totally impressive. It even tastes pretty good. You miss a little of the fat/heaviness of regular peanut butter, but hey – PB2 is meant to help satiate your craving without weighing you down. 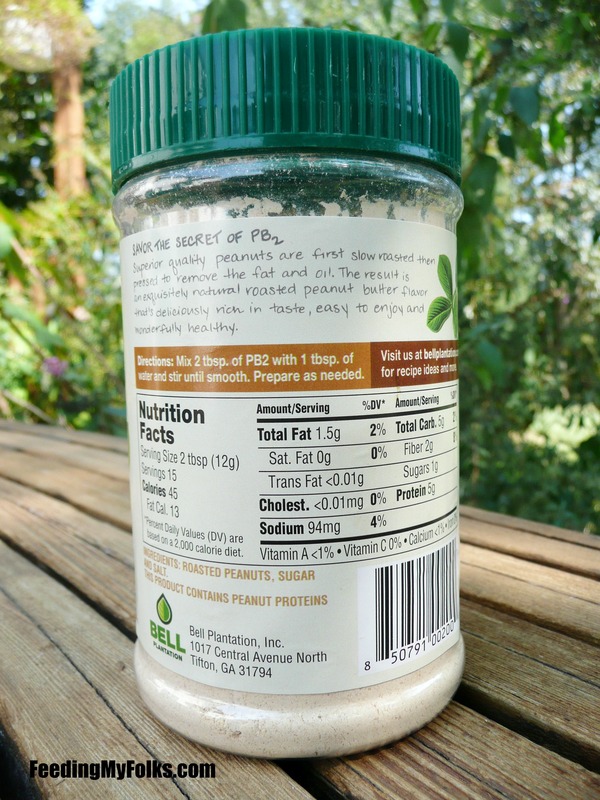 I went to the company’s website and found out that all of their products are all natural, preservative free, and contain no artificial sweeteners. I love stuff like that! In a society where too much of our food is processed beyond belief, it’s nice to see a company committed to health. Good work Bell Plantation! Honestly, I really enjoy using PB2 and I’m looking forward to including it in baked goods (so get used to seeing this in some future recipes!). Previous postGrilled Zucchini and Red Onion Pizzette Next postWhat Did Pirates Eat? I love this stuff! I put it in my protein shakes! Isn’t it awesome? It’s totally one of my favorite finds this year! Thanks for sharing your food find with us!